A local photographer who KXAN News has featured before is back at it again! This time, Andrew Takano calls his project “Austin Nights,” which takes you across Austin from when the sun rises until the sun sets. ...Andrew Takano's latest timelapse film "Austin Nights" captures our city from sunset to sunrise, from nightfall on the Capitol to the UT Tower shining burnt orange. A lovely tribute to the city that clearly took a lot of time to capture and edit. "Our city's skyline has never looked better." Go on a soaring journey across Austin with some beautiful skyline views as day fades into night. This video is all the excitement and energy of Austin bottled up into three minutes. "He filmed and produced two time-lapse videos documenting the city ... In his latest time-lapse video, “Start Fresh: Never Give Up,” he turns to a much more dynamic medium: the HOPE Outdoor Gallery at Castle Hill. " "All of the images are stills, high-res shots Takano has painstakingly stitched back together into a seamless short film showcasing the life cycle of street art." 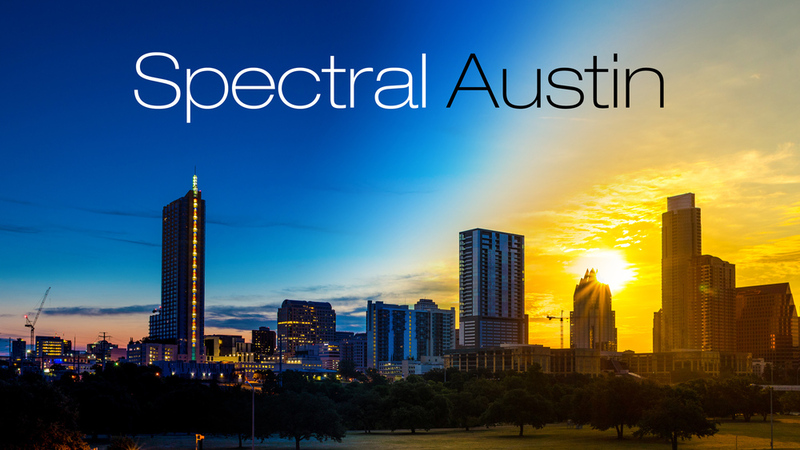 "'Spectral Austin,' ... applies Takano’s smooth stop motion technique to Austin during day and night." "Both of Takano’s videos have experienced online success on Reddit, YouTube, and Vimeo with one viewer jokingly commenting, 'And property taxes have now increased. Stop encouraging people to come here!' Takano’s videos are proof that the city does that on its own." "Takano produced the video with a technique called hyperlapse ... It’s a tedious process that relies on precision and concentration, not elaborate equipment or trick shots." "'...the aerospace industry in Austin is virtually non-existent, so staying would likely require me to change professions,' he said. With videos like 'Sleepwalking Austin,' he may have found a new line of work." 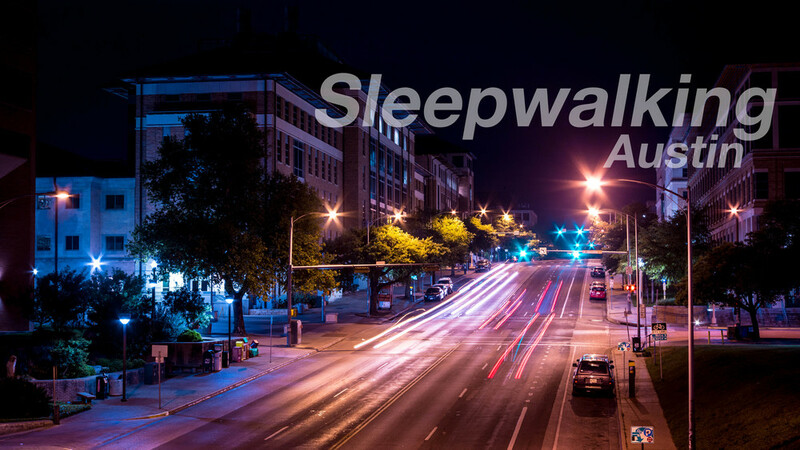 "Titled 'Sleepwalking Austin,' Takano's video shows a side of the live music capitol of the world that few non-residents ever see. It helps that the footage is also incredibly beautiful." "Watch the full, dreamy time-lapse here – and then marvel at the fact that he did it all by hand with nothing but 'a tripod, steady hands, and 'a ton of work in post.'" "There’s no city more beautiful than Austin at night—and here’s the proof."